H’Art of Ottawa will receive a free brand overhaul, in McMillan’s Betterful initiative, the agency announced this morning during a surprise media event at the H’Art office in Ottawa. H’Art hopes to find a new studio. A permanent gallery space. More community partnerships. But their most ambitious plan of all is to change Canadians’ minds about this type of art. In the U.S., artists with similar disabilities benefit from respect and high demand. Not so here at home. H’Art is about to change all that, but they can’t do it alone. That’s where Betterful comes in. Together, we’ll re-launch H’Art with a bold new name, new logo, new colours, new style—and, importantly, a new, more accurate story to tell about who they are and why they matter. We’ll help them transform their identity so that they can transform their artists’ lives. On March 22, McMillan launched Betterful as part of its 20th anniversary celebration as a way to give back to its community. The goal was to find an organization with the desire—but not necessarily the means—to completely rebrand. Charities were invited to apply online (betterful.mcmillan.com), by submitting a short video describing what the organization could gain from a new brand. McMillan and H’Art will work together on the rebrand for upwards of 12 months. The goal is to collaboratively craft an all-new and strategically sound organizational brand. The services on the project may include strategic messaging, naming, visual identity, and a plan for brand activation. 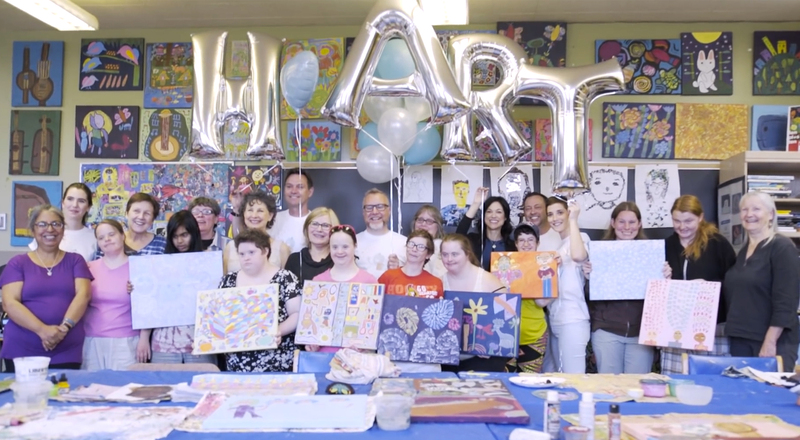 H’Art of Ottawa is an innovative and inclusive visual arts studio that supports and facilitates the creative practice of artists with intellectual disabilities. The studio’s unique art and literacy program fosters and promotes creative and cultural experiences, collaboration, self-expression, and self-determination. Exhibiting their work through the studio, galleries, and community venues, the artists participate in society in a meaningful way. Promotions, new hire, and search for additional talent reflect the B2B creative agency’s commitment to delivering strong brand and demand generation strategies to its clients.